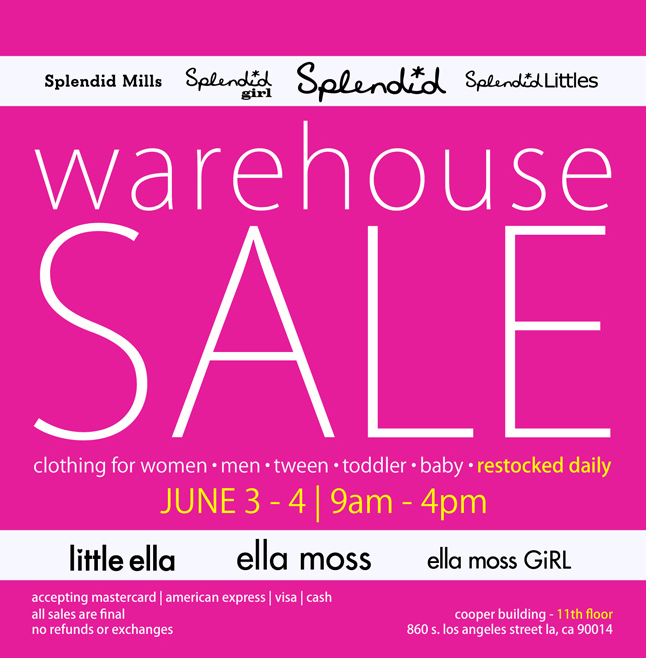 For those of you who live in the Los Angeles area and can take the day or a few hours off of work tomorrow, I highly recommend attending the Spendid Warehouse Sale downtown. 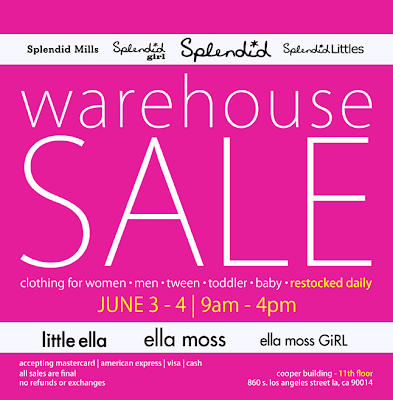 Pieces are as low as $5 each for children's items and I always try to attend if I can. My day is full of client meetings tomorrow so sadly I can't go but I hope you can! thanks for sharing. i wish i could make it up to LA but i'm in meetings too. ugh.